Military veterans and their families can get a burial plot, headstone and military honors at a funeral, but they need to have specific papers to access these free benefits. What do veterans need to know before they go? How has the rising trend in cremation affected national cemeteries? What if the spouse dies before the veteran? Do families have to work with a funeral home to arrange burial in a national cemetery? These and other questions will be answered by Cliff Shields, Director of the Santa Fe National Cemetery. He will discuss veterans funeral and burial benefits on A Good Goodbye Radio on Wednesday, August 7. Download the podcast for free from iTunes, or AGoodGoodbye.com! 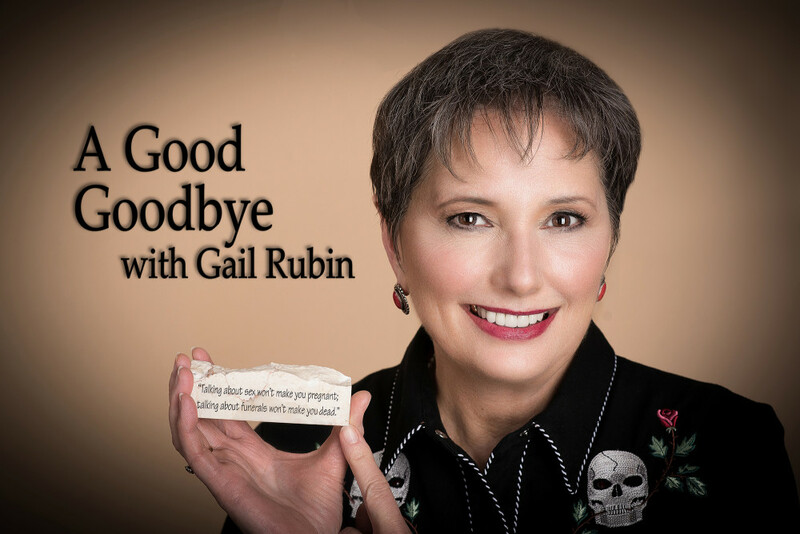 A Good Goodbye is an entertaining and educational weekly 60-minute online radio show on “everything you need to know before you go.” A Good Goodbye covers a wide range of critical information most people don’t consider until there’s a death in the family. By planning ahead and having a conversation, families can reduce stress at a time of grief, minimize family conflict, save money and create a meaningful, memorable “good goodbye.” Host Gail Rubin brings a light touch to a serious subject and presents expert interviews on funeral planning issues with practical insights into the party no one wants to plan. Sign up for a free planning form and get more information at www.AGoodGoodbye.com.